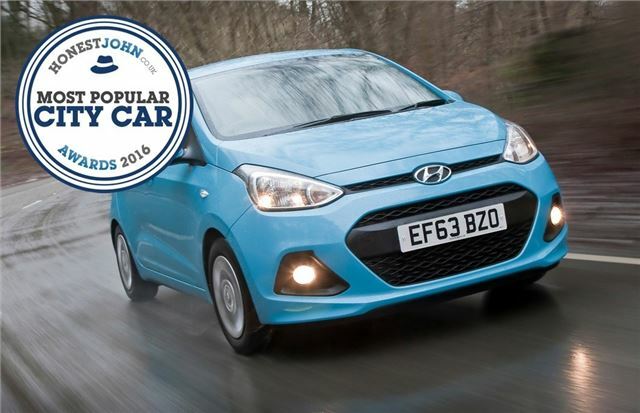 The Honest John Awards celebrates the cars that are most popular with you, our readers. The awards are split across 16 categories, spanning everything from family estates to high performance cars. However, all of the winners have one thing in common - they've proved the most popular with Honest John readers. Rather than use a panel of so called 'experts' to pick the winners, we let the best experts we know - you our audience - decide. So these are the cars that had the most page views on honestjohn.co.uk over the past 12 months. Click through the gallery below to see which cars took the plaudits at the Honest John Awards 2016. Efficient, easy to drive and well-equipped, the Hyundai i10 is everything a city car should be, with a comfortable cabin and stylish exterior. With this in mind, it's perhaps unsurprising that it has won the Most Popular City Car award for the third year running. Consistently popular with the readers of HonestJohn.co.uk, the i10 blends upmarket styling with bargain basement running costs, while Hyundai's five-year warranty reinforces the i10's standing as one of the best city cars for value.